Kelvin Lam is a sales marketing professional for Drone Sports Association and DR1 Racing — the content companies that hosted Drone Nationals racing events all over the world. A savvy businessman always able to work the angles, he’s a master of creating relationships with international and domestic sponsors. 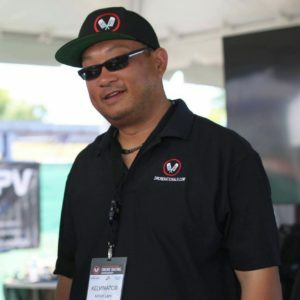 Kelvin’s been a drone enthusiast for more than a decade, pilots FPV and aerial video drones, and is a keen builder with a collection of more than 50 drones. Previously Kelvin worked as an asset recovery sales director for dozens of financial institutions, as well as sales director for health and nutritional companies internationally.